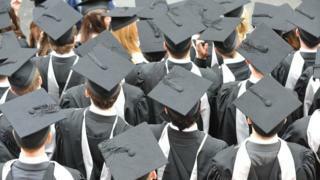 Delays in creating a new university are “a kick in the teeth”, a local Labour politician said. Progress on the scheme in Peterborough halted after an independent report called for a review of the proposal. Shaz Nawaz, city councillor, said it was “very disappointing” and local people were being “messed around”. But Conservative James Palmer, Mayor of Cambridgeshire, said he was “100% committed to the project” and it would be delivered, as promised, by 2025. The Cambridgeshire and Peterborough Combined Authority and its mayor, who are in charge of the scheme, have allocated nearly £10m to it, of which £670,000 has been spent so far. The university would specialise in technical and apprenticeship degrees and the campus on North Embankment would be built to replace University Centre Peterborough. The project requires government funding, but a report by the Local Government Association and HM Treasury called for a period of “pause and reflection” after leaders failed to agree on a way forward. Mr Nawaz, Labour group leader on Peterborough City Council, said he was “bitterly disappointed” by the delay. He said people were delighted when it seemed Peterborough would get a university, which had been mooted for “decades”. “They thought there was some opportunity, some hope and a better future for their children and grandchildren,” he said. But Mr Palmer said the “pause” was part of the original timeframe and would allow the authority to take the “best advice”. “I am 100% committed to it and it will be something Peterborough will be very proud of,” he said. BBC Sunday Politics East is on BBC One in the East of England at 11:00 GMT.